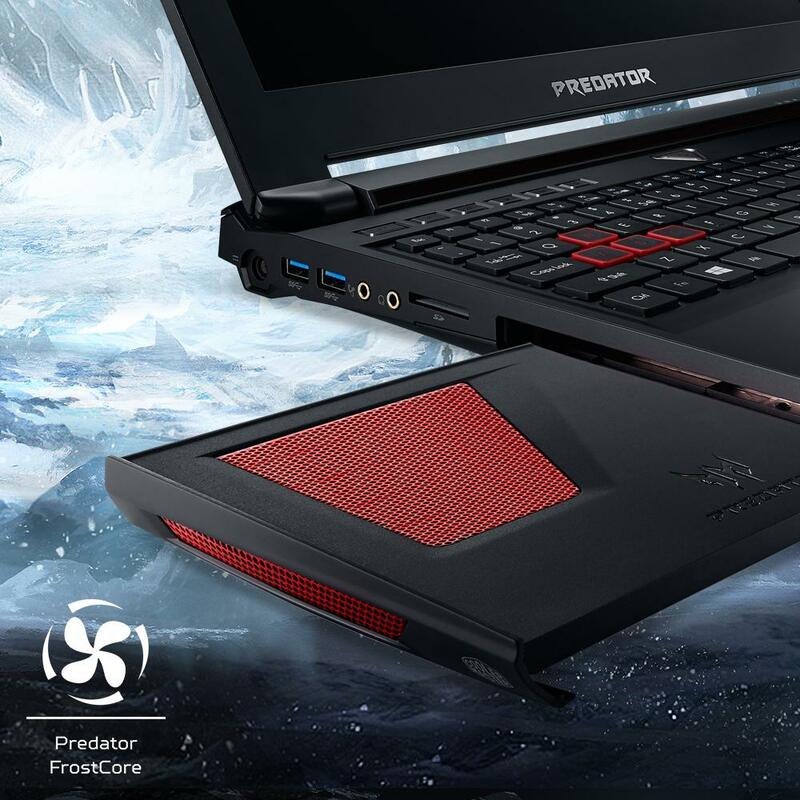 With the Acer Predator 17 G9-793-78CM gaming laptop, you’ll achieve drool worthy frame rates in every game available. Thanks to its fast Nvidia GeFore GTX 1070 with 8 GB of dedicated VRAM, even the most recent titles run smoothly at high graphics settings. When using an external 4K display, the Nvidia chipset still delivers very good frame rates. The body design has been carried over from Acer’s previous models with some minor adjustments. 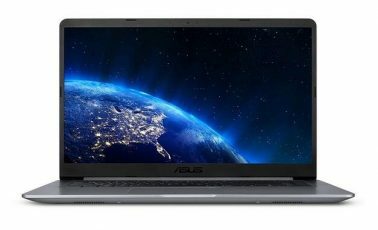 This laptop features a 17,3” full-HD display, an Intel Core i7, lots of RAM, and lots of hard drive space. 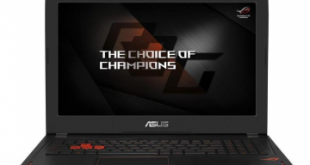 This gaming notebook comes with a 17,3” full-HD display. The matt surface keeps reflections at a minimum. IPS technology ensures wide viewing angles, and the panel offers good overall brightness at 288 cd/m2. The webcam is mounted at the center of the display bezel. Inside, a 6700HQ series Intel Core i7 processor makes the system tick. It is a quad-core processor that operates at a base clock speed of 3,6 GHz. 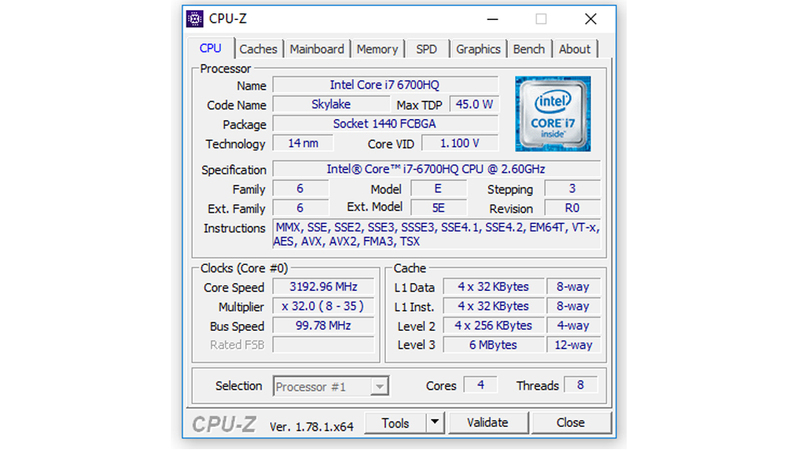 In turbo-boost mode, the clock speed will automatically be raised to up to 3,5 GHz. It also supports Hyper-Threading which allows it to handle 8 calculations at the same time. Acer also offers this machine with a 7th generation Intel Core i7 CPU. The graphics are handled by an Nvidia GeFore GTX 1070 with 8 GB of dedicated GDDR5 video RAM. 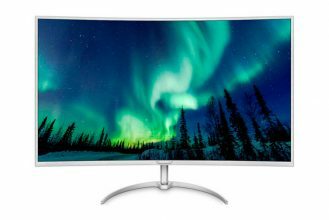 This makes sure you will achieve very good frame rates at full-HD resolution. Even when using it with an external 4K monitor you will still be able to achieve good frame rates. 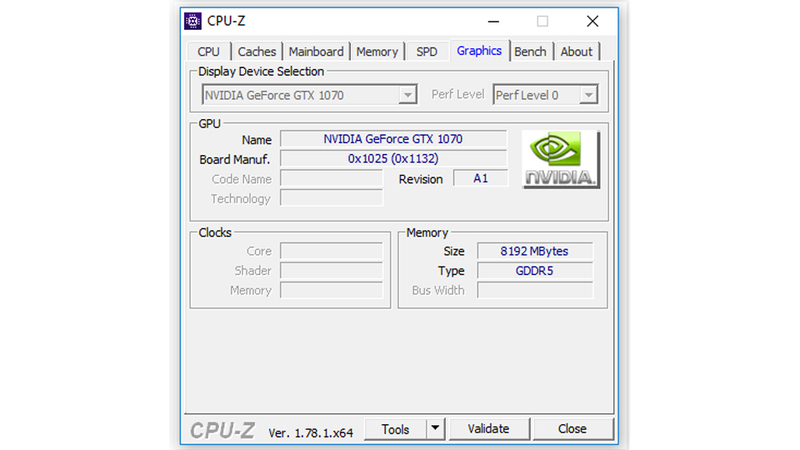 The CPU’s integrated Intel HD graphics are never used. 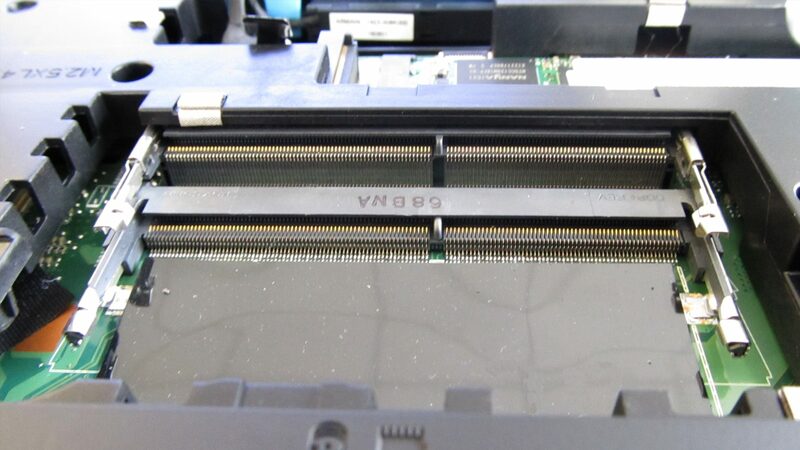 The RAM consists of two 8 GB sticks of the DDR4 variety. Two more modules can be added without a problem. The operating system (Windows 10 in this case) comes installed on an M.2 SSD module with 256 GB of space. Fresh out of the box, there are 201 GB left on this drive. The module can achieve read-speeds of over 537 MB/s (tested with Crystal Diskmark 5.2.0.). Write-speed tops out at 361 MB/s. Besides the SSD the notebook also offers a traditional hard drive. This drive offers 1.000 GB of storage space and, of course, is slower than its solid state companion. Internet connectivity can be achieved via Wi-Fi (ac-standard) or the integrated RJ-45 port (Gigabit LAN). The laptop offers the killer DoubleShot™ Pro feature allowing you to use Ethernet and Wi-Fi connections at the same time. Its integrated 8-cell lithium-ion battery will last you for 3:41 when doing office work or surfing. Gaming will lower the battery life considerably. The Predator offers plenty of connectivity options. On the left you’ll find a DVD-writer, an SD-card reader, two USB 3 ports, and two ports for speakers and a microphone. On the right, there is the RJ-45 port, and two more USB 3 ports alongside an additional USB 3.1 Type-C port with Thunderbolt 3 support. External monitors can be connected via HDMI and DisplayPort. Those who don’t need the DVD-writer can mount the included fan-module instead. This takes some load of the notebook’s internal cooling system, allowing it to work at less than maximum RPM. 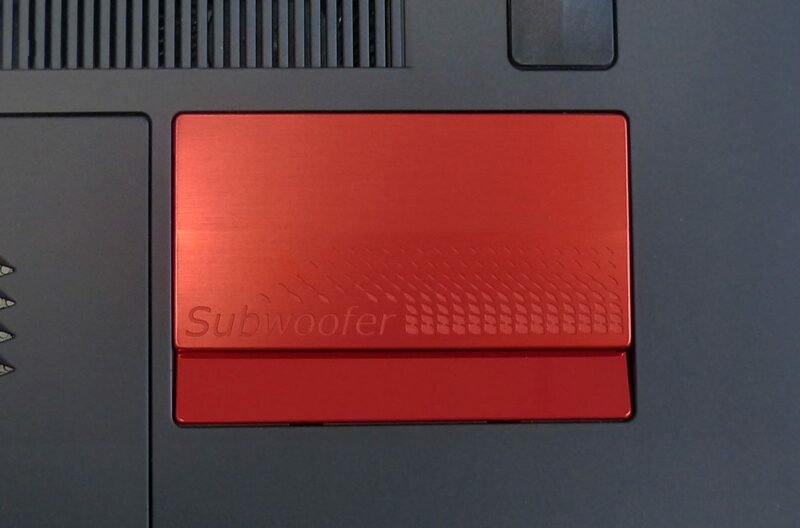 The integrated Dust Defender function can also be used to protect the notebook’s internals from dust. When activated, the fans change direction every three hours. When the system is under full load, this feature will automatically be deactivated. Naturally, the keyboard on the 17” model is rather big. On the right, you’ll find a numeric keypad that is also illuminated. The new model also has the ability to group sections of the backlight into color-zones. To the left of the keyboard, you’ll find the shortcut-keys. Some of which are predefined and others are user-assignable to three functions or apps each. The new PredatorSense System Preferences also allow it to assign important in-game commands to up to 15 shortcuts. The illumination of the keyboard can also be controlled in these settings. It can be split into three light-zones which can be dimmed or brightened individually. To prevent accidental input you can also lock the Windows-key and the trackpad at the press of a button. To provide the right audio the Acer sports four speakers and a subwoofer. These deliver a decent soundscape with pretty formidable bass response. The side-mounted audio connections of course allow you to plug in a headset. For upgrading the hardware the gaming laptop has a service door on the back that can be opened quickly by loosening two screws. What you’ll find inside are two free RAM sockets and a free M.2-slot. The 2,5” hard disk can also be accessed and swapped from here. In our stress test, the top of the plastic body reached temperatures of up to 38,7℃. The areas your palms rest on and the trackpad always stayed at room temperature though. Our thermal imaging camera CAT S60 found the temperatures on the rear of the device top out at 39,7℃. At the air-exhaust that propels out the warm air, we measured temperatures of 40,7℃. 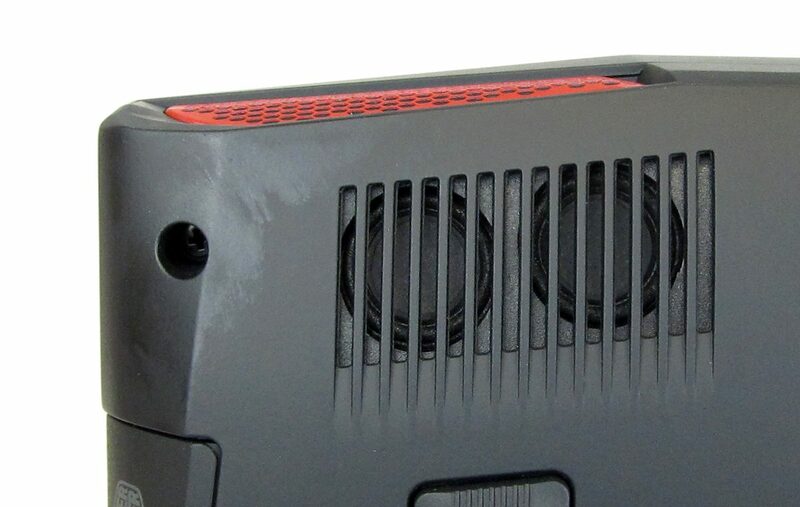 The fans, while barely audible during normal use, where kicking in audibly when the system is under load. 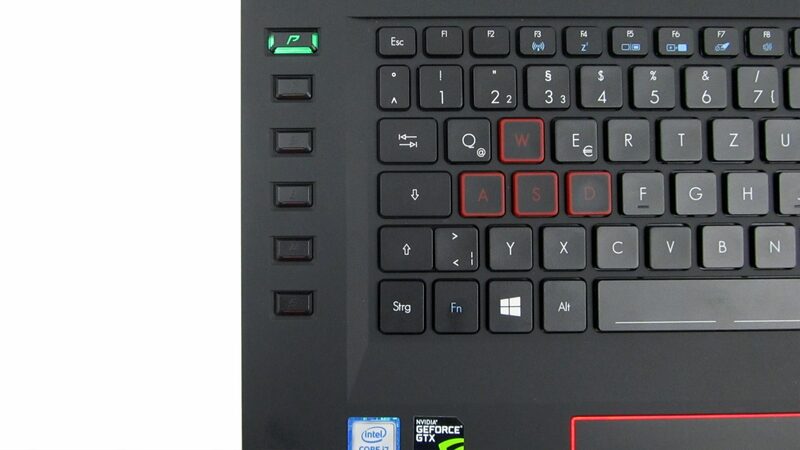 This hands-on-video has been shot with a predecessor of Acer’s Predator 17. The body is almost identical to the current model though. The only differences lie on the inside. 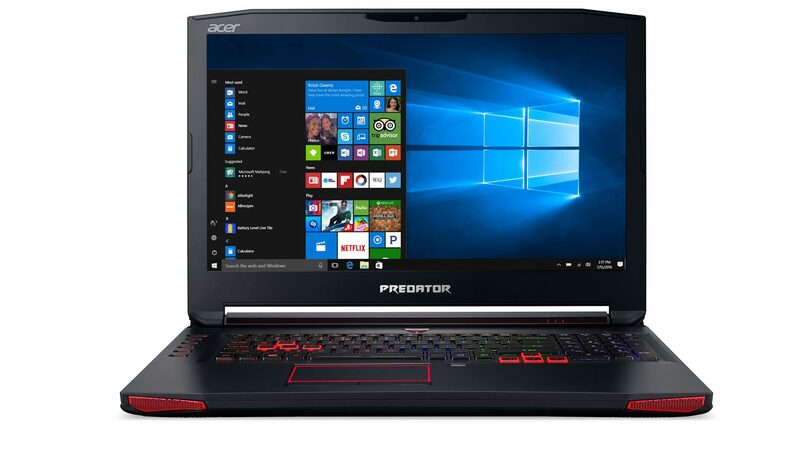 The Acer Predator 17 with its fast Nvidia GeFore GTX 1070 chip is one of the fastest gaming notebooks available for under 1800 dollars. The Intel Quad Core processor also packs enough power to make everything you throw at it runs smoothly on the 17” display. It also comes with plenty of RAM and even leaves room for upgrades. The 256 GB SSD combined with a 1 TB hard disk provide plenty of storage. The body has been carried over from the previous models with some minor tweaks such as the new background lighting for the keyboard. That is not to be taken as a con. What we don’t like too much about the Predator 17 is the M.2 SSD used in here. It still uses the SATA standard and thus only achieves the typical SATA read and write speeds. In a 1800 dollars notebook, we would’ve hoped for a PCIe module running under the NVMe protocol. Also, a current generation Core i7 processor is something we think would be more appropriate. The GeFore GTX 1070 packs quite the punch and gets great framer ates. Even when using an external 4K monitor (HP Envy 27s) the chip did a great job. Previous How to change a drive from FAT32 to NTFS format and vice versa?